Sure to have an instant impact on any room, the Grafton Dining Chair Walnut and Brown blends elegant brown upholstery with a luxurious walnut frame, creating a stylish addition to any dining area. Attention-grabbing from all angles, the Grafton Walnut and Brown is simply an unmissable dining chair. 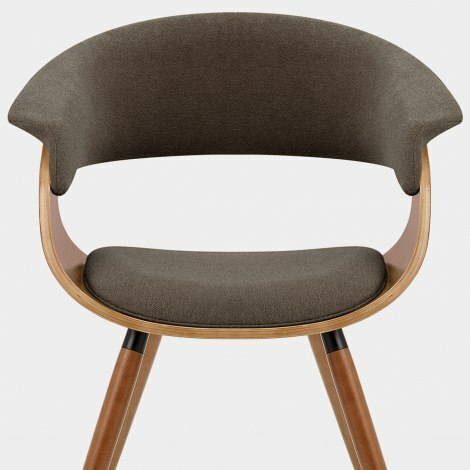 A curved bentwood design provides the shell for a padded fabric seat pad, whilst an attached backrest aids in contouring the body for support, and also effectively forms comfortable armrests. Four sleek walnut legs are connected to this shell, each boasting a cylindrical shape along with protective plugs to help look after your floors. "They're very comfortable and look great"
Arrived promptly the next day. Legs need to be attached. Just remember not to be a boy about it and read the instructions. The legs front and back look similar but are different! Once assembled these are comfortable and stylish and the cats like them too. 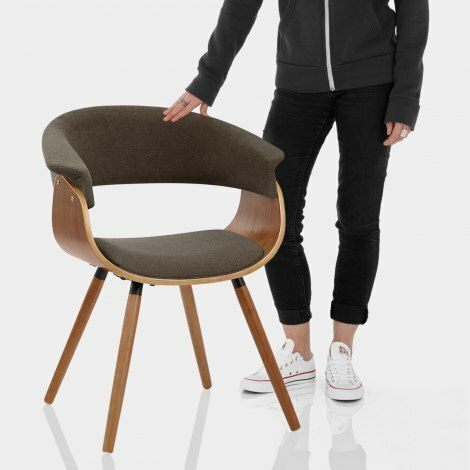 Stunning chairs, excellent quality. Thank you for your great customers services. Item as described. Very comfortable. Speedy next day delivery. Really pleased with quality and design of these chairs. 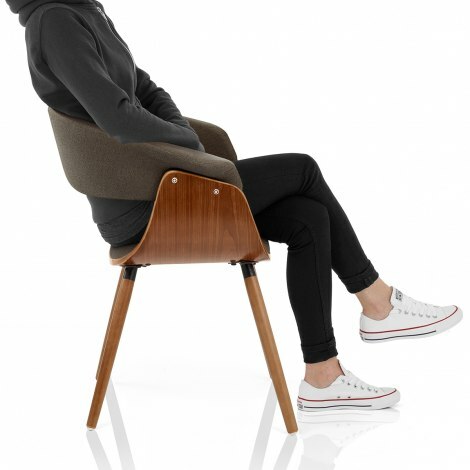 So comfortable, easy to assemble and a lovely design. Would certainly recommend. We were looking for a desk chair without corner points for my son who has epilepsy. This is excellent as the design is curved and the edges are mostly padded so not hard surfaces to cut your head open on. The seat is very supportive and comfortable. Construction is easy just check the labelling to find the front legs first. Delivery was fast and the transaction stress free.